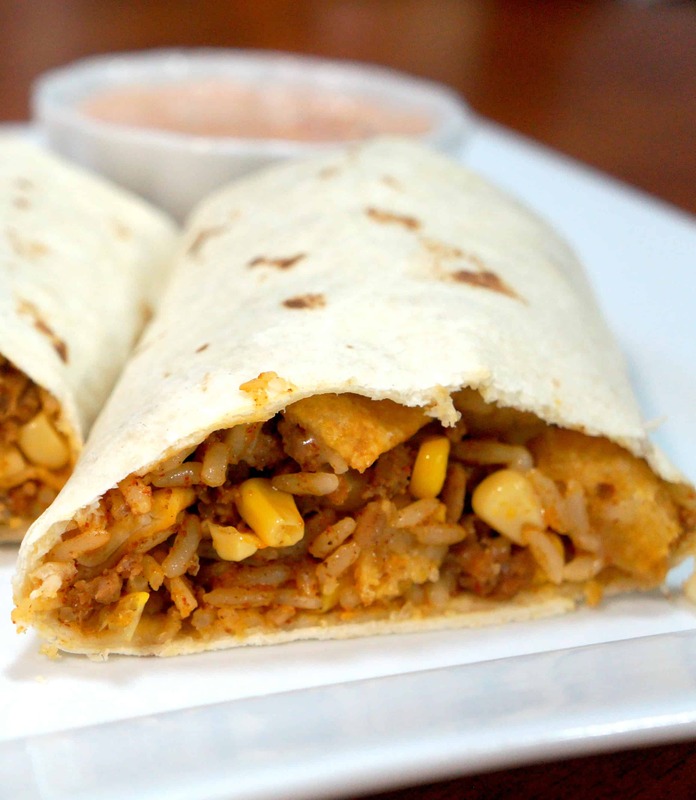 These Mexican Beef Crunch Wraps are a delicious and easy weeknight dinner recipe. 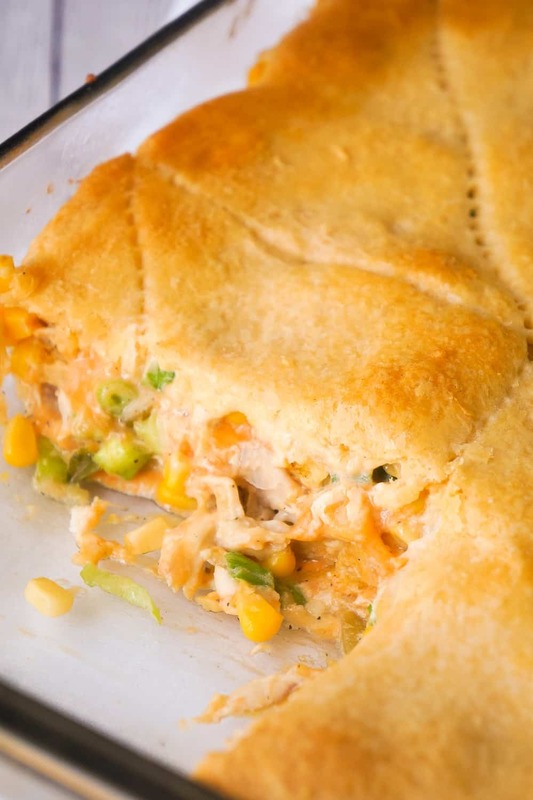 Pull out this recipe when you’re looking for a fun meal in a hurry! They are inspired by burritos but are a little bit different. You won’t find any beans here! 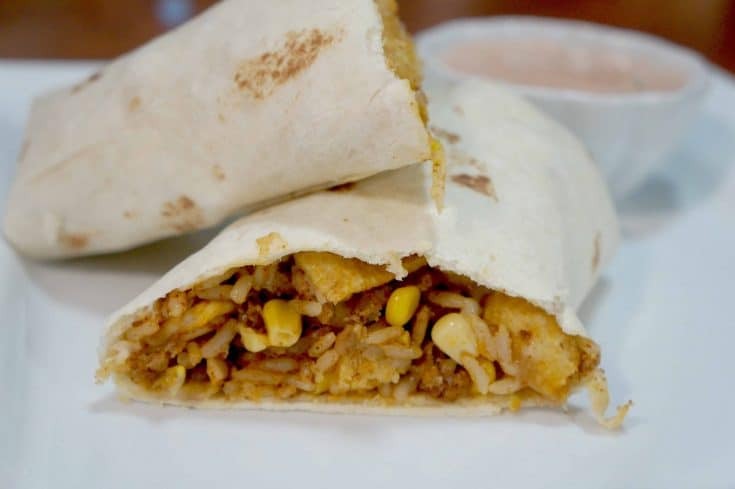 I love all sorts of Mexican dishes including tacos, burritos and quesadillas and I wanted to come up with my own twist for an easy Mexican wrap with all my favourite flavours. 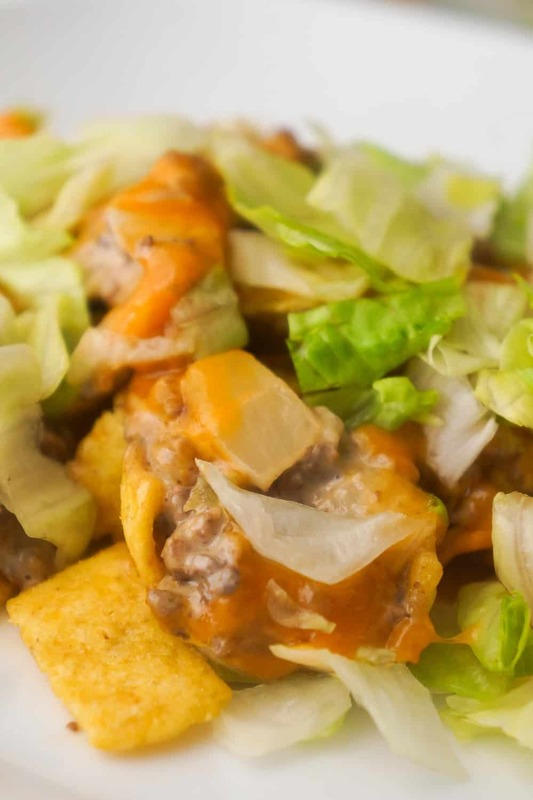 The filling consists of ground beef, rice, corn and Fritos corn chips to give it that crunch. These wraps are made with twelve inch tortillas and are fairly large so children or adults with small appetites may only eat half a wrap. I started by boiling some rice and browning some ground beef seasoned with taco seasoning. Once the rice was cooked I added it to the ground beef and stirred in some canned corn as well. Then I divided the mixture evenly between four large tortillas. I sprinkled grated mozzarella cheese and corn chips on top of the meat and then rolled up the tortillas. Then I baked them in the oven to get the tortillas crispy and the cheese all melted. I allowed the wraps to cool for a few minutes before slicing in half and serving. Served up with a side of salsa mixed with ranch dressing these wraps are perfect for a Mexican inspired dinner. I serve the sauce on the side because I find if you put it right in the wrap it makes it a bit soggy and messy. Try out these Mexican Beef Crunch wraps next time you are looking for an easy weeknight meal the whole family will love. 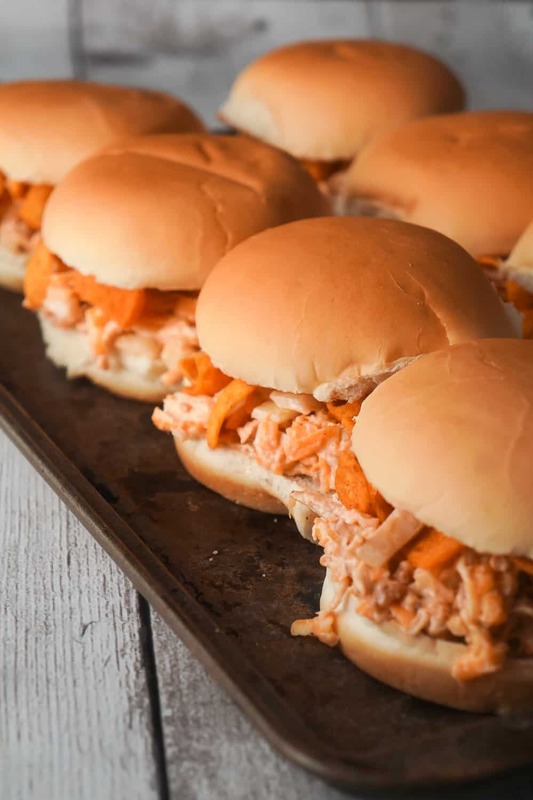 If you are looking for more easy dinner recipes check out Loaded Potato Meatloaf Casserole, Sweet Chili BBQ Chicken Sliders and Chicken Bruschetta Casserole with Everything Bagels. 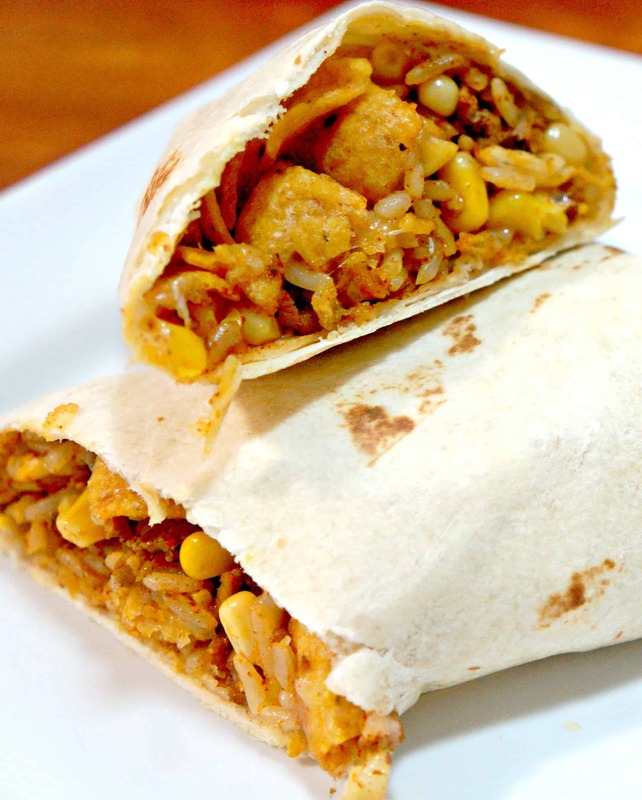 These ground beef wraps are loaded with corn, rice and Fritos corn chips. Pour rice and water into a medium saucepan and bring to a boil. Continue boiling until all water is gone and rice is cooked. While rice is cooking fry ground beef in a large frying pan on med-high with a bit of oil or butter and the taco seasoning. When the ground beef is fully cooked add in the cooked rice and the corn. Stir well. Lay out your tortilla and divide the beef mixture evenly between them. Try to keep it centered on the tortillas so that they will be easy to roll up. Sprinkle the cheese and corn chips on top of the meat mixture. Fold in the short ends of the tortillas and then roll up the wraps. 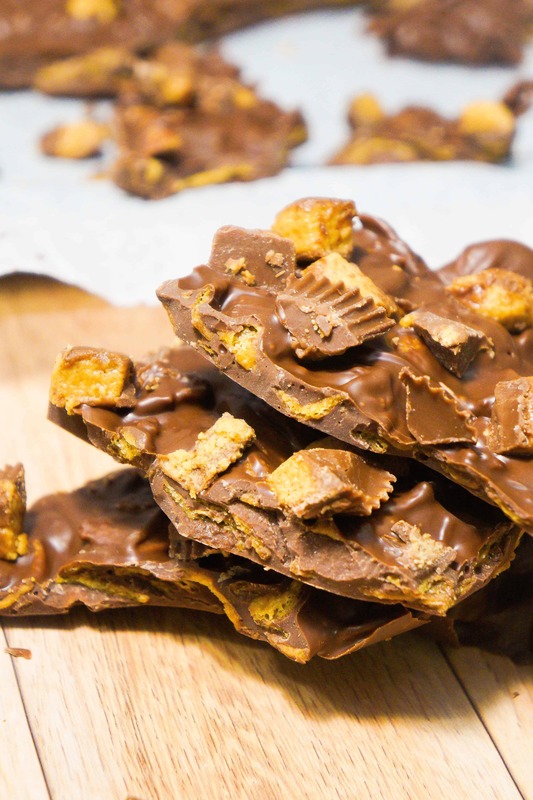 Place the wraps on a baking sheet and bake for 5 minutes. While the wraps are in the oven make the dipping sauce by combining the salsa and ranch dressing. Cut each wrap in half and serve with side of dipping sauce.